Orphaned at a young age, Jane Eyre's childhood with her aunt had been one of terrible mistreatment though she'd done nothing to deserve it. Later, she gained liberation by going to a badly-run school, but it is at the ripe age of eighteen where her life seems to really begin. Jane needed a change, and becoming a governess seemed to her a bright future. Then she met Mr. Rochester, and life would never be the same. Jane Eyre was a rather groundbreaking piece of work for the 1800s as it is such a feminist novel. Where would we be without women like Charlotte Brontë to blatantly state such equality? Even now, after all these years, it contains a particular uniqueness and holds a place in many a heart, including my own. That being said, Jane Eyre is one of my favorite novels. Whilst reading it, I never wanted it to end. When I reached the last page, I felt a bit of a pang inside, for I could read about Jane and Mr. Rochester forever if Charlotte Brontë willed the story to last so long. For not only is this an interesting story, but Jane is relatable, and Mr. Rochester is quite passionate as well as different than most love interests. Of course, Jane is admirable for her amount of feminism. She thought of her feelings (though she cared for others) and therefore said and did what she felt she needed to do in order to be happy. But even before she grew to be an independent young woman, she had still contained a unique spirit when she was younger still. As a child, Jane had been forced to hold in a lot of anger toward her aunt and cousins. Watching her finally release some of that felt refreshing, especially since I tend to think similarly to her when I am angry. She felt she didn't need to be nice to those who wronged her, unlike her friend from school, Helen, who is a very forgiving and peaceful young lady. Everyone should long to think as positively as Helen, to be as sure as themselves. Still, different as they were, both girls' characters leave a memorable, even admirable, impression. Now, onto the subject of Mr. Rochester, the man Jane Eyre would come to love. Mr. Edward Rochester happens to be my favorite love interest, as his romanticism is most favorable and swoon-worthy. He's not an ordinary man; he has idiosyncrasies that almost strike as odd. But the best part about him? He's not perfect. Not even close. 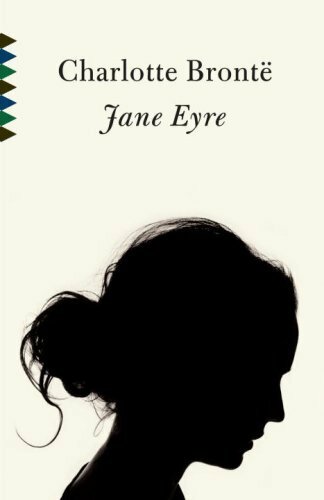 In fact, one thing I admire in this novel is this: Jane Eyre is a story that contains a love interest who is described as ugly. Thank God. It is probably strange to wish for an unattractive love interest, but let's face it: Not every girl is going to fall in love with/ be loved by the hottest guy one the planet. This fact has rarely even been depicted in love stories, and it takes away from a romantic connection when you hear the main character blab about her boyfriend's appearance. If a female is reading this right now and is becoming quite disappointed by such a statement: Wake up. Besides, another thing I loved about his book is that it shows how someone's physical appearance may seem to change as you get to know a person. Are they still unfavorable in general appearance? Yes, but that shouldn't matter. Anyone who says it mattered to Jane is confused, for she loved Mr. Rochster purely as anyone could ever love. Jane has even told Mr. Rochester that he isn't handsome, but does anyone care? No. Mr. Rochester is handsome in my book because his character is handsome. Jane could certainly say the same. Jane and Mr. Rochester's relationship frequently made my heart flutter and mouth smile, but if either was ever discontent, my heart sank. Of course, interesting twists concerning these two characters came along, and the way Jane deals with them makes her stand out as a female character. As previously mentioned, Jane did whatever she could in order to make herself happy, even if the costs were unfortunate. One of my favorite quotes said by Jane: "Do you think, because I am poor, obscure, plain, and little, I am souless and harmless?" (Brontë, 2011, p.255) Any idea how many times I would like to say that? Anyway, the ending of Jane's autobiography is a well-deserved happy one. I couldn't stop smiling, of course, until I reached the end of this beloved tale. Sometime soon I hope to reread this story, as it means so much to me. Although the time to review such a classic like Jane Eyre is long gone, I will still give it 5/5 Stars. It is one of my favorite books containing a couple of my favorite characters, and it is unforgettable and enjoyable to say the least.